SEASON’s summer issue include sticker sheets and interviews with soccer moms. SEASON’s third issue, for summer 2017, was released on April 22. It chronicles soccer fandom among women with a range of illustrations of sticker sets, tattoos, and nail art. 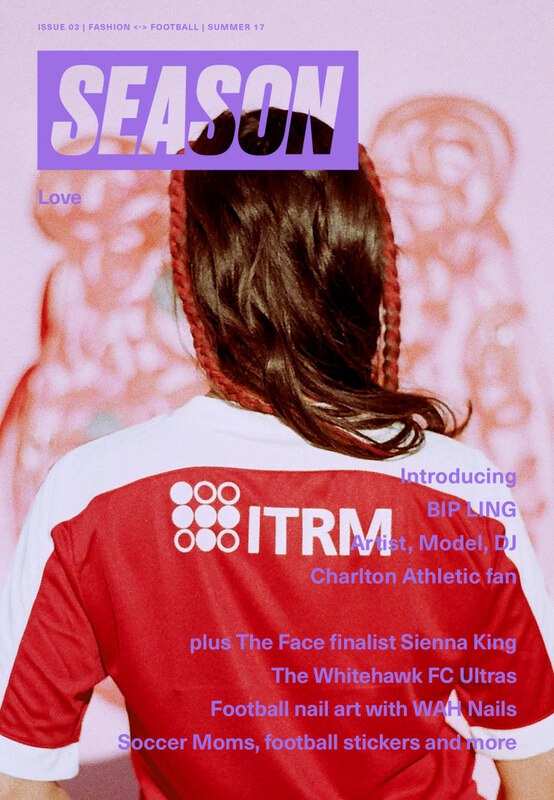 The issue is themed around "Love," and explores how fans’ love of soccer relates to other parts of their identity, examining homophobia, self-love, and style. There's also interviews with model and DJ Bip Ling, and WAH Nails founder Sharmadean Reid. Order a copy on SEASON’s website here.